The traditional wooden “trechadiri” will pick you up from Agia Kiriaki beach at 10:00 in the morning. Then you you will enjoy a 5 hours trip at the south of the island. 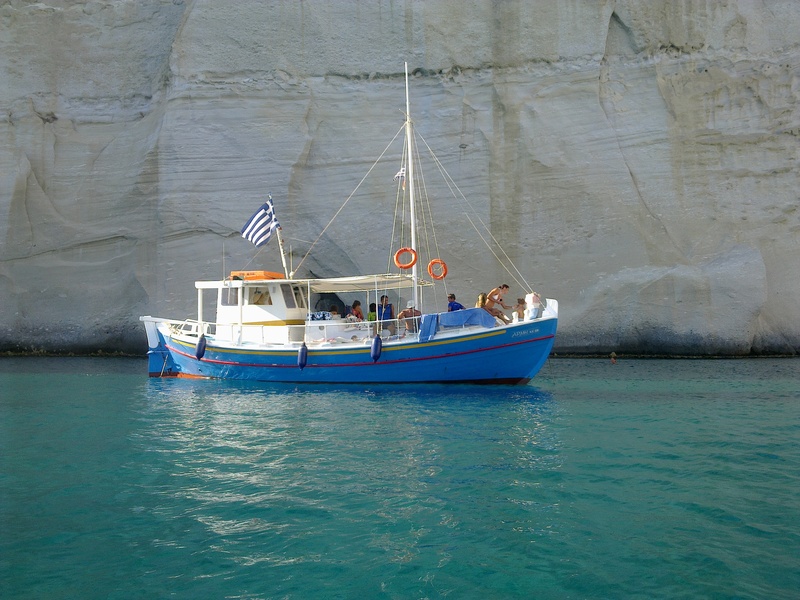 The boat is sailing coast to coast at the south of the island and is protected by the north wind and his waves (The sea is flat at the south when Meltemi is blowing). 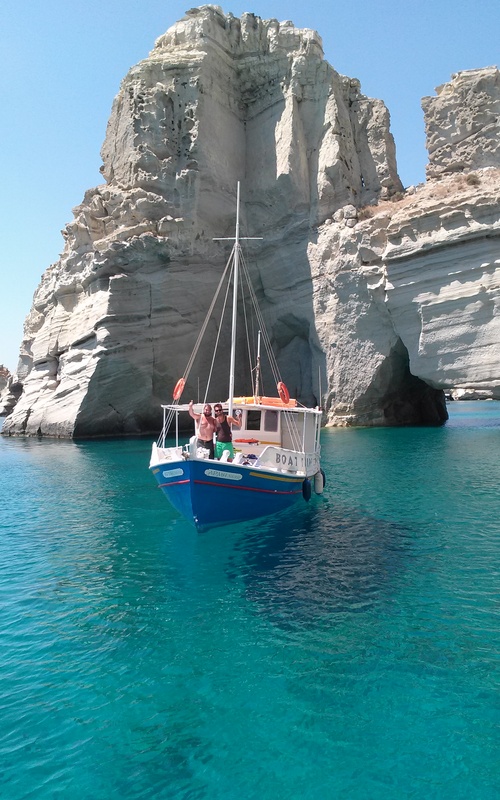 During the trip we are reaching the magnificent site of Kleftiko where you will appreciate swimming threw the caves in the clear and turquoises water (1h15 stop). Then on the way back we will stop an hour at the unbelievable sandy beach of Gerakas where you can access only by boat. The traditional wooden “trechadiri” will pick you up from Agia Kiriaki beach at 15:00 in the afternoon. Then you you will enjoy a 5 hours trip at the south of the island. 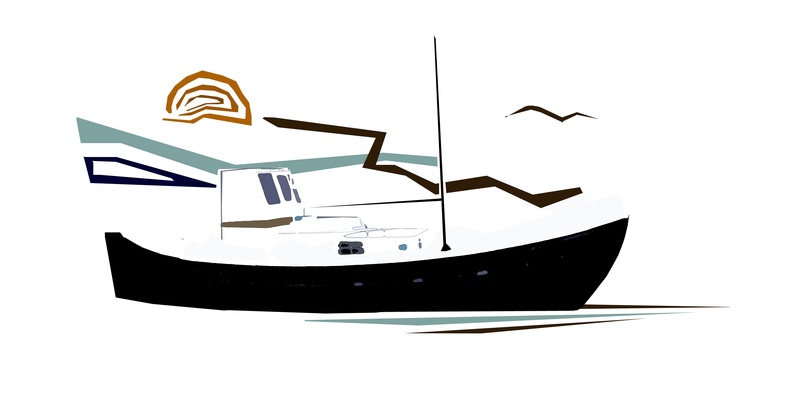 The boat is sailing coast to coast at the south of the island and is protected by the north wind and his waves (The sea is flat at the south when Meltemi is blowing). During the trip our first one hour stop will take place at the unbelievable sandy beach of Gerakas where you can access only by boat, then we are reaching the magnificent site of Kleftiko where you will appreciate swimming threw the caves in the clear and turquoises water (1h15 stop). On the way back to Agia Kiriaki you will relax enjoying the beautiful sunset colors of the coast.